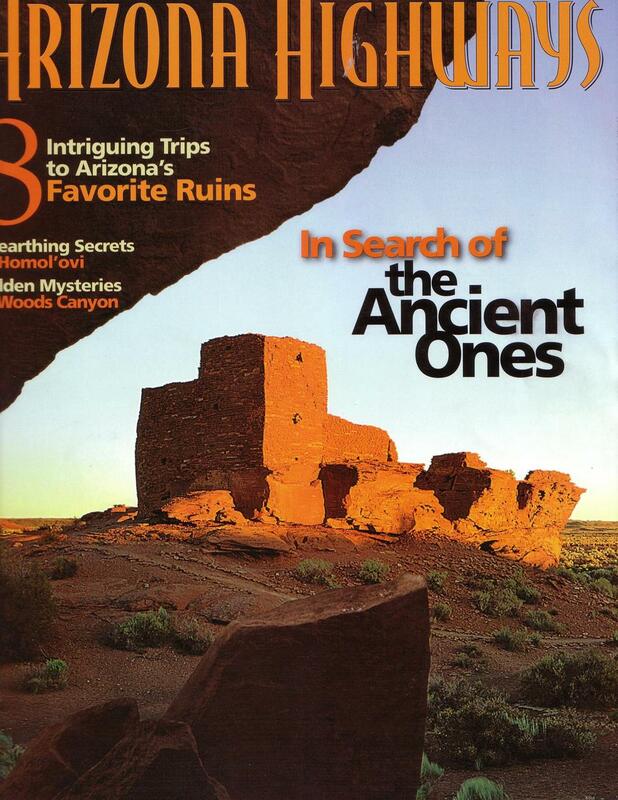 A recent edition of Arizona Highways touted itself as "A trip planning guide to some of the famous ruins across the state". 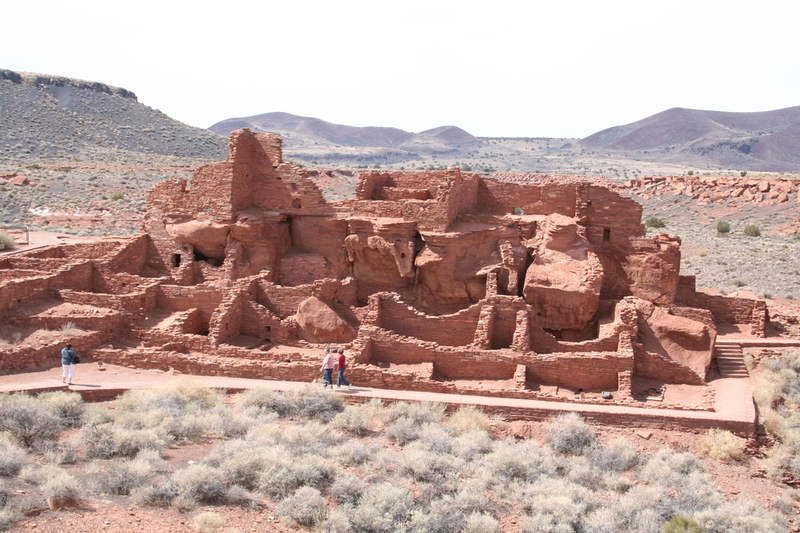 I've frequently passed by Waputki Ruins National Monument on my various travels to the canyon lands of Arizona and Utah, but decided the next time we're in the area we'd visit the ruins. 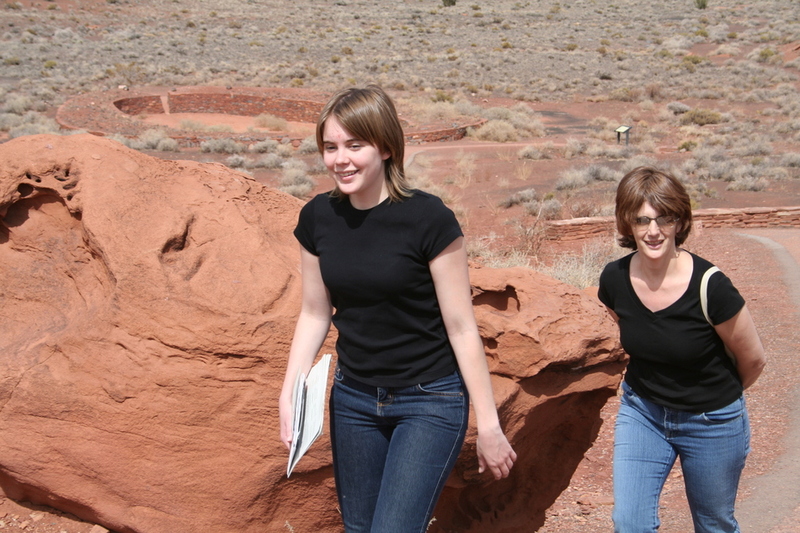 That "next time" came when we returned my daughter to NAU at the end of her March Break. Some History: "All the prominent points occupied by the ruins of stone houses of considerable size. They are evidently the remains of a large town, as they occurred at intervals for an extent of eight or nine miles and the ground were thickly strewn with fragments of pottery in all directions." - Journal entry by Captain Lorenzo Sitgreaves at Camp No. 14, October 8th, 1851. So who constructed these ruins as noted in this first known written account? 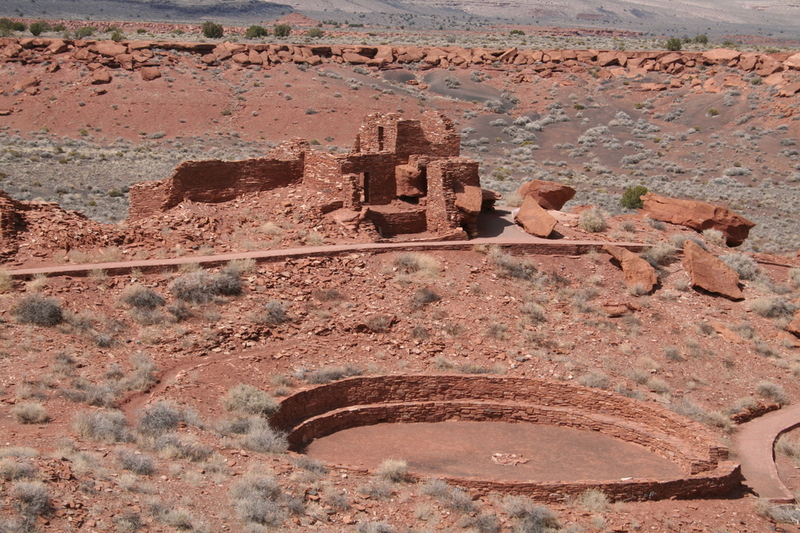 The archeological record indicates that these ruins are at the crossroads of the Anasazi containing elements of Sinaguan, Hohokam, Mogollon and Kayentan cultures. Most archeologists, however, consider Waputki a Sinaguan site. Although there is evidence of prehistoric occupation in the area for more than 2000 years, events in 1064 and 1066 AD, about 15 miles to the south, seemed to create favorable conditions to support a population boom. 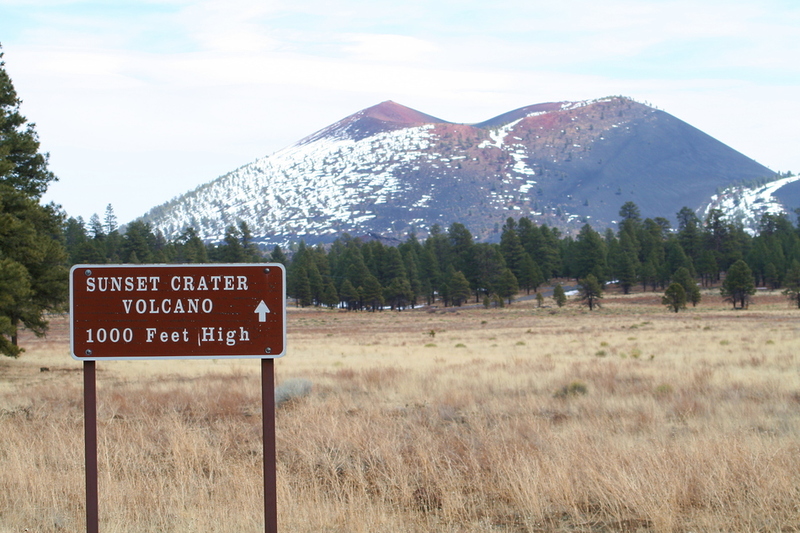 Eruptions from Sunset Crater Volcano deposited a layer of fertile, water retaining, ash to the local soil. All the ruin sites saw many rooms added throughout the 1100's until they could house perhaps 80 to 100 people each. 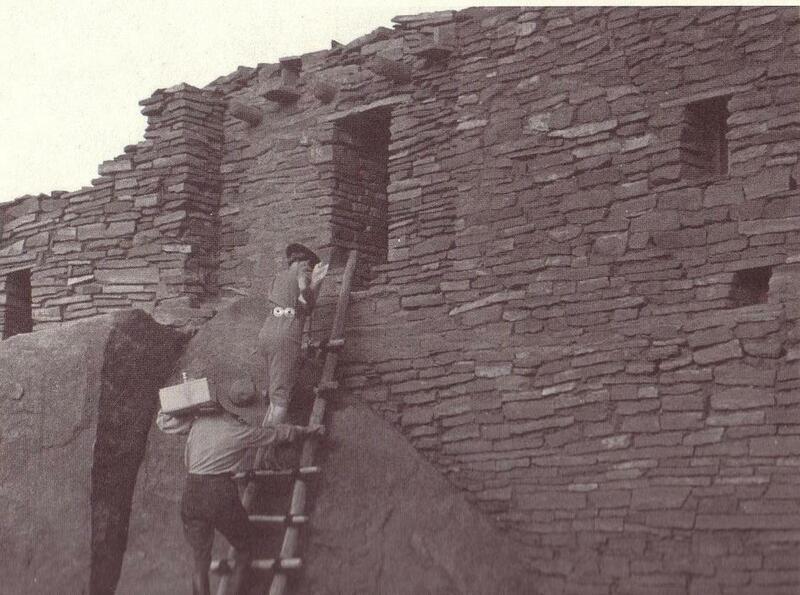 In 1212 the last log was cut and placed into Waputki Pueblo and construction continued at some of the outlying sites. By 1225, a scant generation later, over-population, crop failures, and drought prompted abandonment by many families. 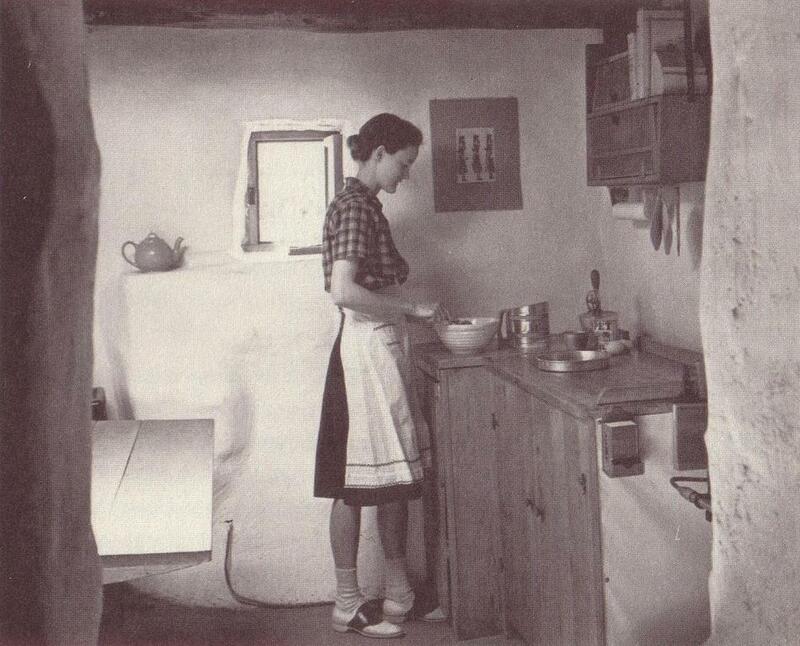 According to Hopi oral tradition, most moved to Homolovi (near present day Winslow). Others relocated to the Verde Valley, particularly Montezuma Castle and Tuzigoot. 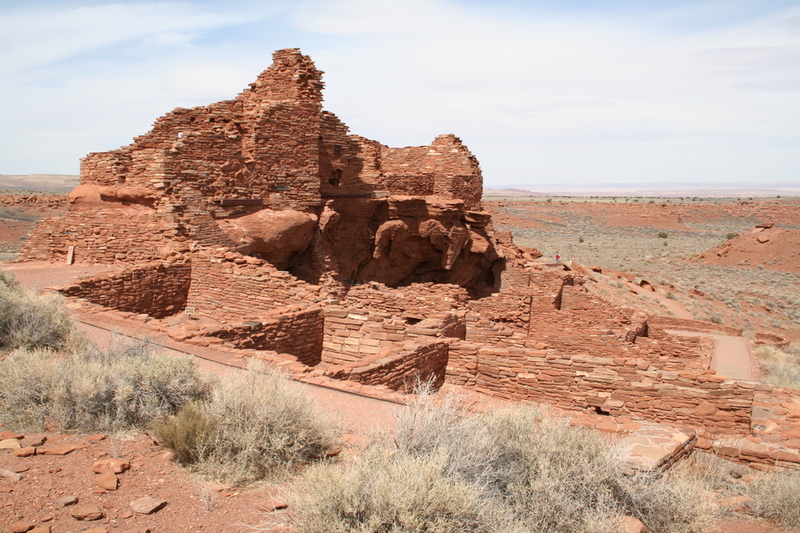 In the 1700's and 1800's, some Navajo families resided in and about the ruins. By 1882, with the arrival of the railroad through Flagstaff, visitations to the ruins rapidly increased. Pot hunting and other souvenir hunting seemed to be the norm during this time. Looting became such a concern that it prompted the formation of Waputki Ruins National Monument in 1924. I find it curious that Park Rangers once lived in Waputki Pueblo. During the 1930's and 40's a policy of reconstruction prevailed. This was reversed in the 1950's and led to the removal of the walls and roofs shown in these older photos. Hiking Wukoki Pueblo Trail: (aka "Big House" in Hopi language) This set of ruins was built upon a relatively low sandstone butte. There is a well marked 0.4 mile loop trail from the parking lot "trail head". The surrounding rock formations and boulders can provide interesting foreground subjects when photographing the ruins. The Arizona Highways cover shot illustrates some of the possibilities. You can also use the Painted Desert as a dramatic backdrop. Great photo-ops, too bad I left the camera behind when we hiked this trail! 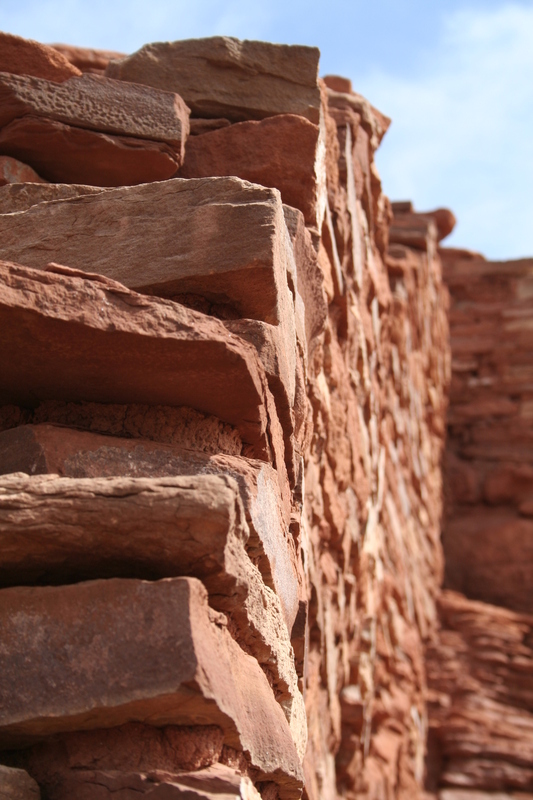 Hiking Wupatki Pueblo Trail: (aka "Tall House" or "Long-Cut House" in Hopi Language) At the Visitor Center, pay the National Monument entrance fee or show your NPS Annual Pass for free admission. As you walk through the Visitor Center, there are displays of artifacts. Most were unearthed during the many archeological excavations conducted since the ruins were declared a National Monument in 1924. 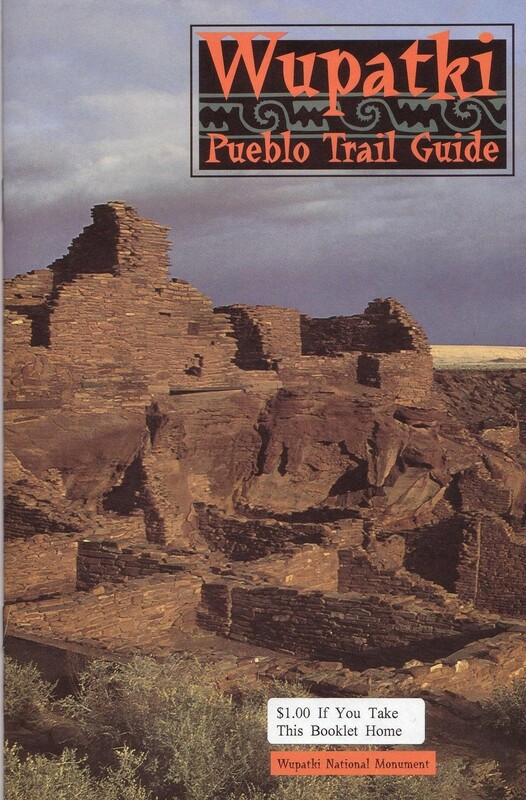 Pick up a Wupatki Pueblo Trail Guide at the Ranger's desk. The guide has 20 numbered sections that correspond to 20 signed stops along the trail. 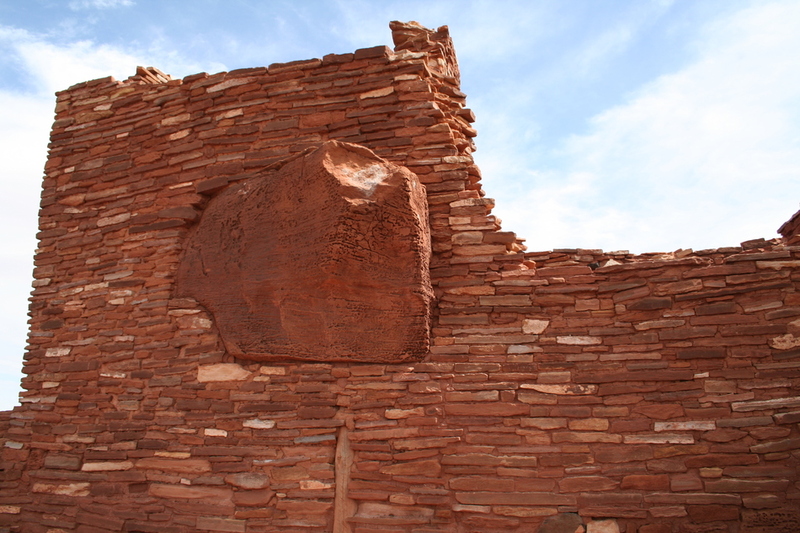 Each section offers a glimpse of the Wupatki historical record. As you walk out the Visitor Center and head to the west, you'll soon reach a look-out point offering a complete view of the ruins site. The 3-story tall pueblo, the "Tall House", dominates the view. In the foreground is a large, circular, open-aired, community room. 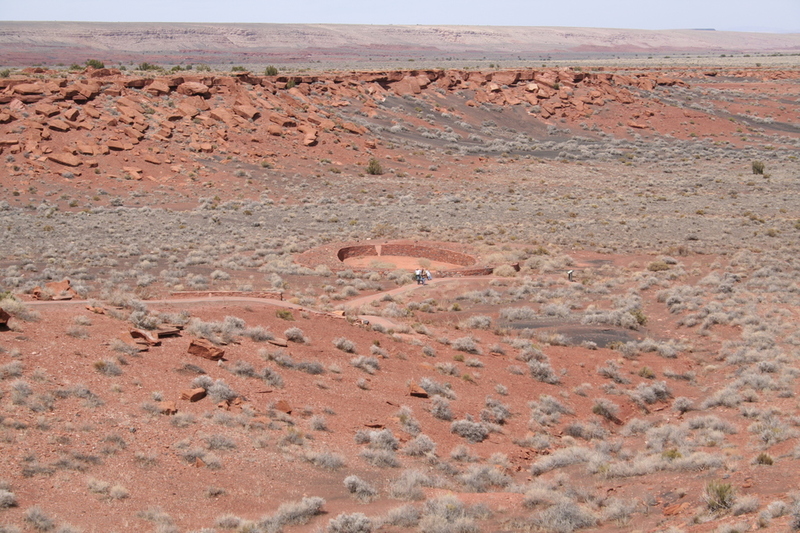 The smaller central pueblo lies in the background of the community room and remains largely unexcavated. At the extreme north end of the loop trail lies a ball court and blow hole. As you continue along the 0.5 mile loop trail, take note of the architectural details. Notice how some sandstone boulders have been incorporated into the walls. Hiking Citadel Pueblo Trail: Take the 0.3 mile loop trail that circles this fortress-like ruin located on the top of a small hill. 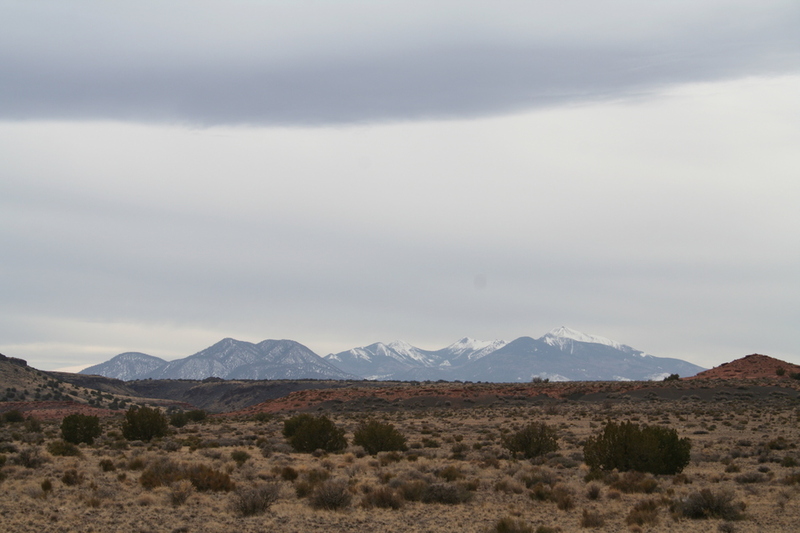 From this vantage, you'll have sweeping views of San Francisco Peaks to the south and the Painted Desert to the north. Nalakihu ruins lie at the foot of the hill close to the roadside. 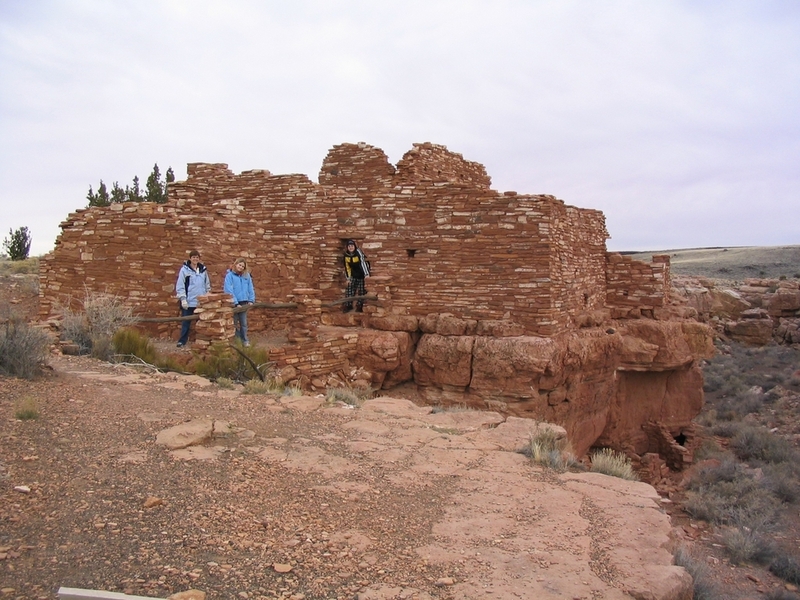 Hiking Lomaki Pueblo Trail: (aka "Beautiful House" in Hopi language) This 0.4 loop trail will also take you to the Box Canyon Dwellings located slightly south of Lomaki pueblo. Summary: I'm often asked to recommend "family-friendly" hikes. With my personal preference for the strenuous and extreme, I need to find acceptable compromise hikes for family outings. This relatively short, flat, historical excursion certainly fits the bill. If you want to incorporate more of a workout, I'd recommend bringing your bike along to make the trek between the major ruins. I saw at least half a dozen riders making the circuit, some on road bikes and some on mountain bikes. If you have a passion for Indian ruins, you may want to consider this destination for an easy stroll or an interesting bike ride. Enjoy! From Phoenix: Take Interstate 17 about 125 miles north until you reach Flagstaff. From Flagstaff junction of I-17, I-40, and Hwy 89, take Hwy 89 north about 17 miles until you reach FR545 (Sunset Crater Road). Turn east onto Sunset Crater Road (GPS coordinates 35o 21.786'N, 111o 34.309'W) and drive about 21 miles until you reach the Wupatki National Monument Visitor Center (GPS coordinates 35o 31.222'N, 111o 22.270'W). 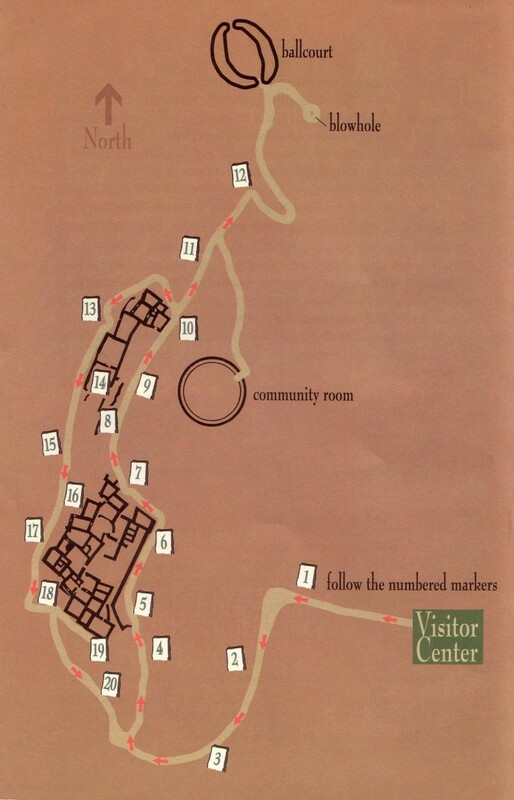 The Visitor Center is also the entrance to the Wupatki Pueblo Trail. Travel time from Phoenix was just under 3 hours. Wukoki Pueblo Trail: (aka "Big House") Travel 0.4 miles east from the Visitor Center until you reach the signed paved road indicating Wukoki Pueblo (GPS coordinates 35o 31.020'N, 111o 21.981'W) and continue north about 2.5 miles until you reach the trail head at the ruins (GPS coordinates 35o 31.809'N, 111o 19.711'W). Take the 0.3 mile loop trail around the ruins. Wupatki Pueblo Trail: (aka "Tall House") From Visitor's Center, take 0.5 mile loop trail around the ruins (GPS coordinates 35o 31.222'N, 111o 22.270'W). Loop trail features two pueblos plus a circular community room, ball court, and blowhole. Citadel Pueblo Trail: Travel 9.5 miles west from the Visitor Center until you reach the ruins near the south side of the road. 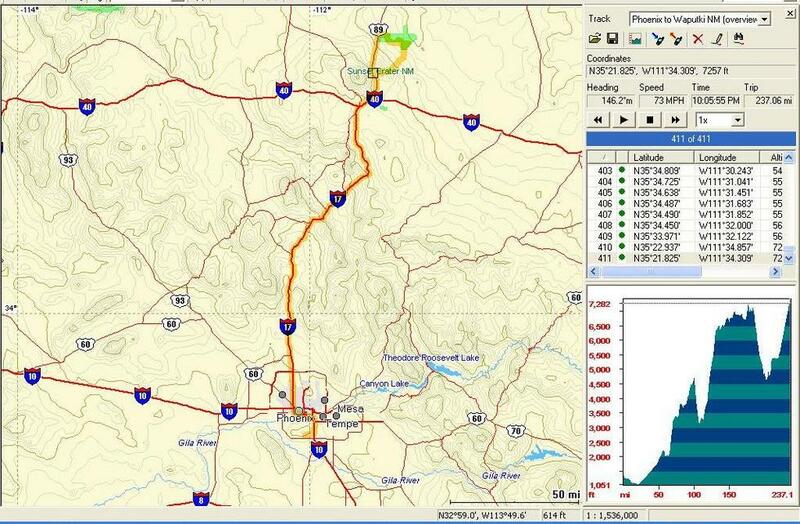 Take the 0.3 mile loop trail around two separate sets of ruins (GPS coordinates 35o 33.973'N, 111o 28.232'W). Citadel ruins are located prominently at the top of a small hill, whereas Nalakihu ruins lie at the foot of the hill close to the roadside. Box Canyon Dwellings & Lomaki Pueblo Trail: (aka "Beautiful House") Travel 2 miles west from the Citadel ruins until you reach the signed paved road indicating Lomaki Pueblo (GPS coordinates 35o 34.253'N, 111o 28.263'W). Travel 0.6 miles north until you reach the trail head at the ruins (GPS coordinates 35o 34.778'N, 111o 28.111'W). 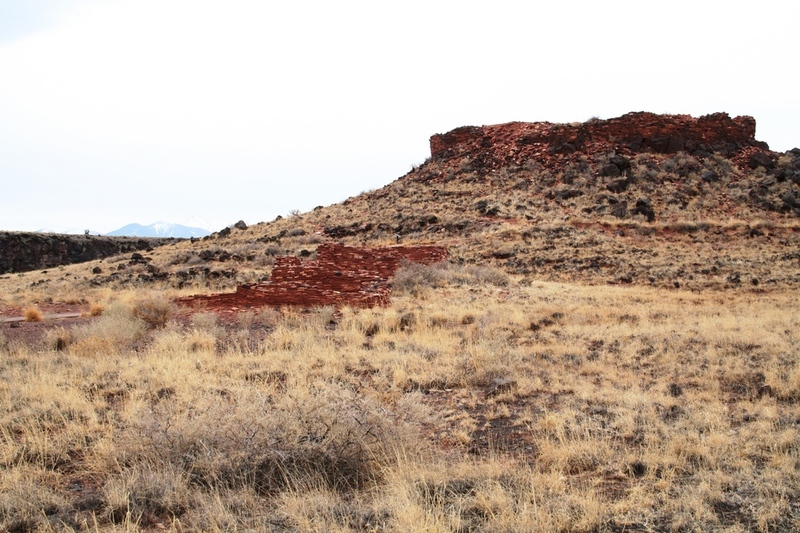 Take the 0.4 mile loop trail around Lomaki ruins and the Box Canyon Dwellings located to the south. Crack-In-Rock Ruins Trail: This is a lottery only, Ranger-guided, 2 day backpack offered only twice a year. Alternate Route from Phoenix: Take Interstate 17 about 125 miles north until you reach Flagstaff. From Flagstaff junction of I-17, I-40, and Hwy 89, take Hwy 89 north about 17 miles until you reach FR545 (Sunset Crater Road). Continue another 15 miles north on Hwy 89 until you reach Waputki Ruins Road (County Road 395). Turn east onto Waputki Ruins Road (GPS coordinates 35o 34.450'N, 111o 32.000'W) and drive about 15 miles until you reach the Wupatki National Monument Visitor Center (GPS coordinates 35o 31.222'N, 111o 22.270'W). 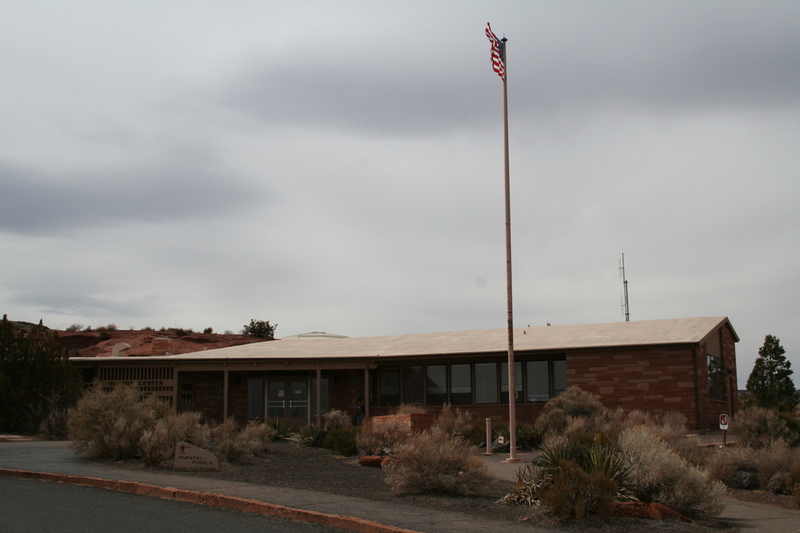 The Visitor Center is also the entrance to the Wupatki Pueblo Trail. Travel time from Phoenix was just under 3 hours.